“A company is stronger if it is bound by love rather than by fear,” the late Herb Kelleher, co-founder of Southwest Airlines, used to say. And love is not a vain word for those who work for Southwest. Not only is the airline’s ticker symbol LUV, but its current President, Tom Nealon, sees several mysteries of the rosary as the inspiration for his daily work. He also places love of colleagues and customers at the head of a list of virtues necessary for leadership, including humility, capacity to listen, courage, perseverance, and patience. In addition, Nealon sees the leader as responsible for setting a company’s vision, giving all employees the means to execute that vision, and creating a company culture that keeps hope in the vision active and fresh. 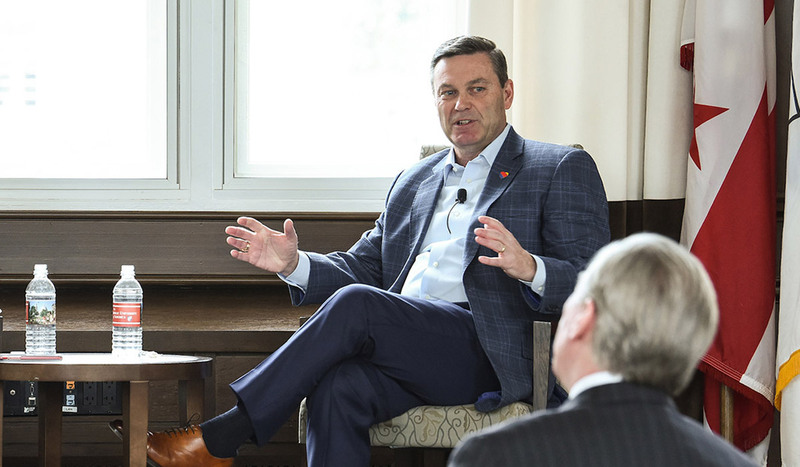 In a “fireside chat” conversation at Catholic University with Acting Dean of Business Michael Pakaluk, Nealon spoke about how he balances a committed life of faith with family life and the “on-call” demands of the airline industry. Nealon said he could not arbitrarily separate his faith from his work and his family, because he needed prayer and the grace that comes through it to guide every aspect of his life. He prefers to think not so much of work-life “balance,” as of work-life harmony. Nealon’s approach to leadership and business, in keeping with former CEOs Lamar Muse, Herb Kelleher, and others, helps explain Southwest’s unparalleled record of profitability — the company has been profitable every year since the early 1970s. No other airline has achieved the same financial success. In fact, in an industry littered with bankruptcies, Southwest is an outlier that resists conventional explanation. A close look into Southwest’s management, however, brings two features into particular relief: (a) a solid business approach based on using small airports (especially early on), operating one type of aircraft (Boeing 737), keeping planes flying as much as possible (Southwest has the quickest turn-around times in the industry), and relying mostly on organic, prudent growth; and (b) a culture that focused on creating an ownership mentality in employees through features such as profit sharing, autonomy in decision making, and a spirit of love through service. As Nealon explained, everyone at the airline works very hard to nourish Southwest’s culture: employees organize events together, they respect the past (by celebrating key moments of Southwest’s history), and they respect each other. Because of these attributes, to Southwest employees, the airline is more than just an employer. It is a family. Kelleher used to say that competitors can buy planes, but they cannot buy Southwest’s culture. Southwest’s main intangible asset — its culture of love through service — has made it possible for the airline to realize the impossible: low fares and low operating costs combined with generous salaries and steady profits. 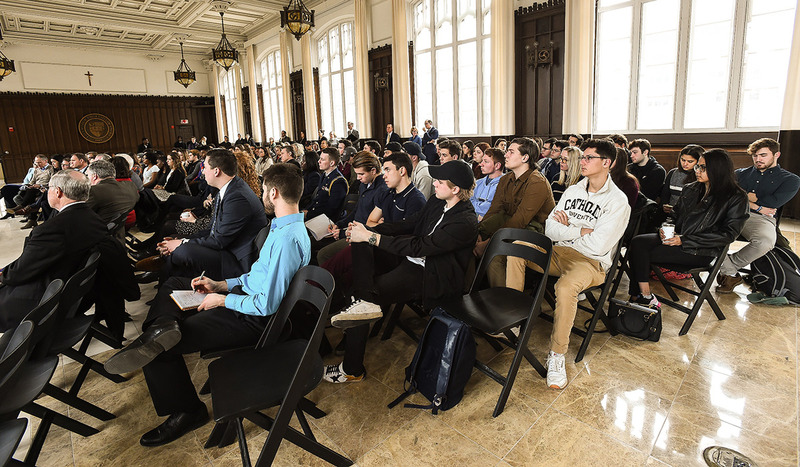 “Southwest stands out for showing that steward leadership and a service culture that puts the human person at the center of the organization, in combination with solid business principles, can bring productivity, competitiveness, and long-lasting financial success,” said students in Associate Professor Frederic Sautet’s class after the talk.